Normally I steer clear of books that have been based on TV shows or movies as the few occasions when I haven’t have offered a somewhat lacklustre reading experience. But when I spotted this book at my library I thought I’d see if it offered something different from the TV series. If nothing else it would prompt me to re-watch the series which I thoroughly enjoyed many years ago. Although it ended up being a seven series run the original PRIME SUSPECT was a two part, three-and-a-half hour production that first aired in the UK in 1991. 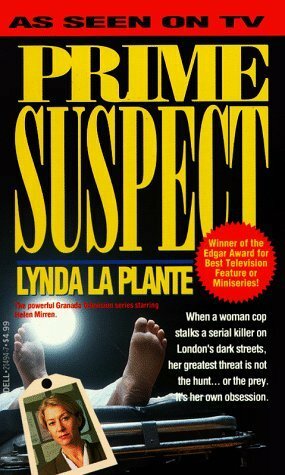 Its creator, Lynda La Plante, had previous screenwriting success with WIDOWS, and PRIME SUSPECT tackled many of the issues La Plante was already becoming known for and would keep exploring in shows like THE GOVERNOR and ABOVE SUSPICION. Jane Tennison, played superbly by Helen Mirren, has achieved the rank of DCI and is attached to the Metropolitan Police but in her 18 months there has been passed over for all the murder cases. As the show opens the body of woman is found and the case assigned to a male DCI even though he’s only just finished another big case. Jane is seething and when that DCI dies of a heart attack she makes her move. Neither her superiors nor the team she takes over wants her there and even the victim’s family want nothing to do with a female officer of her rank. But Jane ignores the criticisms and starts quickly proving that she does have what it takes to be in charge. There is only ever one credible suspect for what turns out to be multiple murders but evidence against George Marlow, realised as a worringly ‘normal’ guy by John Bow, is thin on the ground and it’s entirely possible the man will get away with murder(s). There are really multiple stories being told here but they are all given equal weight which is something of a rarity even now, let alone 25+ years ago. On one level the story is a standard procedural, displaying all the problems that arise when police know, or think they know, who the culprit of some hideous crime is but have the devil of a time proving it. It’s all very fashionable these days to write stories of police maladministration or outright corruption – and no doubt it goes on – but one of the things that really struck me about PRIME SUSPECT was how the team were affected by worrying they wouldn’t be able to put away the man their collective guts told them was guilty. When a place is found in which multiple victims were tortured and mutilated it is shown to deeply affect all the team in a reminder that cops are not unaffected by all the horror we ask them to clean up on behalf of us all and their desire to round up bad guys even if there isn’t enough evidence is understandable in that context. Tennison is something of a new breed of officer, knowing that instincts are not enough and forcing the team to get concrete evidence so that any charges laid will stick. One of the other layers of the story is the gender politics on display. Both at work and at home Jane’s life is not easy. Because she’s a woman doing ‘un-womanly’ things. That’s not to say she’s perfect: she’s shown making mistakes and gaffes and being somewhat self-absorbed. But many of her tribulations are to do with the fact that she has decided to do a job that is traditionally done by men and that doing the job successfully means her home life suffers and many of the people she works with resent her. There’s a great thread in which Jane is meant to be preparing a dinner party for her boyfriend’s business associates but she is late home and he is angry with her. “Why can’t you stuff your own effing avocados?” is roughly what I was screaming at Tom Wilkinson in the guise of Jane’s boyfriend Peter but of course the issue is more complex than that. The show does a great job of teasing out that these kinds of jobs require a ridiculous commitment to do them well and personal lives are going to suffer. The reversal of the traditional gender roles being depicted here just makes the situation all the more stark. I do like the way that La Plante balances the gender issues out a bit by depicting the value of having female officers to do more than make tea as there are several plot points that are resolved only because Jane notices things that her male colleagues have missed. Although the story is undoubtedly a good one the reason the show is thought of as brilliant rather than just another procedural is at least equally due to the quality of the acting. The cast is strong all the way through, not just Mirren’s lead. For me Tom Bell as DS Bill Otley – fiercely and actively opposed to Tennison taking over the team of his dead friend – probably puts in the best performance of the show though Zoe Wanamaker as the suspect’s common law wife is also outstanding as a woman who stands by her man. Until she can’t. PRIME SUSPECT holds up surprisingly well when watched with 2016 eyes. Though some of the overt sexism would be shocking in most workplaces today, a lot of the attitudes depicted in the show are sure to still exist and be a thorn in the side of many women. Aside from the rampant smoking (those airless interview rooms in which everyone was smoking must have been insufferable!) the show is not really dated in other ways. The way it looks at the job of policing, the relative ‘value’ of different types of victims and the impact on the personal lives of people doing such a difficult job all remain insightful. Well worth a watch (or re-watch if you’ve already seen it). The book, released at or about the same time as the book, tells the exact same story as the TV series. The biggest difference I noticed in the plot was that in the TV series Jane’s boyfriend’s dinner party moves to a restaurant whereas in the book she makes it home just in time to make dinner but not in time to save her relationship. So hardly a significant point of departure. What’s more troubling than the fact it is the exact same story is that it doesn’t always read all that well. More TV script than ordinary prose. Much of the dialogue is exactly the same but where the visual queues of the TV show are missing the exposition can be a bit on the clunky side. Essentially it offers absolutely nothing that isn’t available from the TV show and takes away some elements that are present in the original. 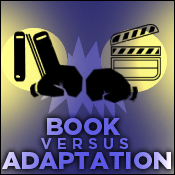 Which is what I have always found from written adaptations of movies or TV shows: they are far more likely to be a carbon copy at best whereas when a book is adapted for film or television adding the visual element generally adds at least a little something. The original in this case is the best. Though as I alluded to at the outset books based on movies/TV shows are not really my cup of tea so I would be curious to hear from anyone who thinks the book is better than the show – or at least its equal. Have you seen the TV show or read the book? Agree or disagree with me? Have I missed something vital? This entry was posted in book vs adaptation, Lynda La Plante. Bookmark the permalink. 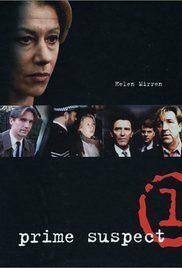 How I loved Prime Suspect – I saw it on VHS from the British Council in Bucharest in the mid 1990s rather than on TV, but I was addicted to it. I absolutely loved this series. Of their era PS and Cracker were the best of the best. Helen Mirren and Robbie Coltrane were outstanding and both series were incredibly well written. Usually, Bernadette, I think books are better. I just do. But in this case, I’m not surprised you feel as you do. That TV drama was fantastic, and Helen Mirren was outstanding in the role. I think it would be very hard to capture all of that quite so well in a novel. Folks, if you haven’t seen the TV show, please, do it. You won’t regret it. I read the book a few weeks ago and agree with your low appraisal of it, only probably more so — it was really quite poorly written, with the result that some of the plot elements that seemed fine on the screen came across as just plain idiotic on the page. I read one of La Plante’s other novels in the 1990s or so, and was likewise very disappointed by it. This seems a case where an excellent screenwriter should farm out out the novelizations to someone else rather than write them herself. Your review is spot on. I read the book immediately after watching the series again and I think I was a lot more forgiving because of that – I was still seeing the characters and filling in the gaps unconsciously. Peter (the boyfriend) is a real character in the series and it’s obvious that Jane cares for him and the relationship they have, even if not enough to put it above her work but I agree the sense of that is not nearly so strong in the novel. I should have let some time slide between the two experiences to be more objective about the latter. I didn’t read the book but the series is very good, with the excellent Helen Mirren. Not much could top it.